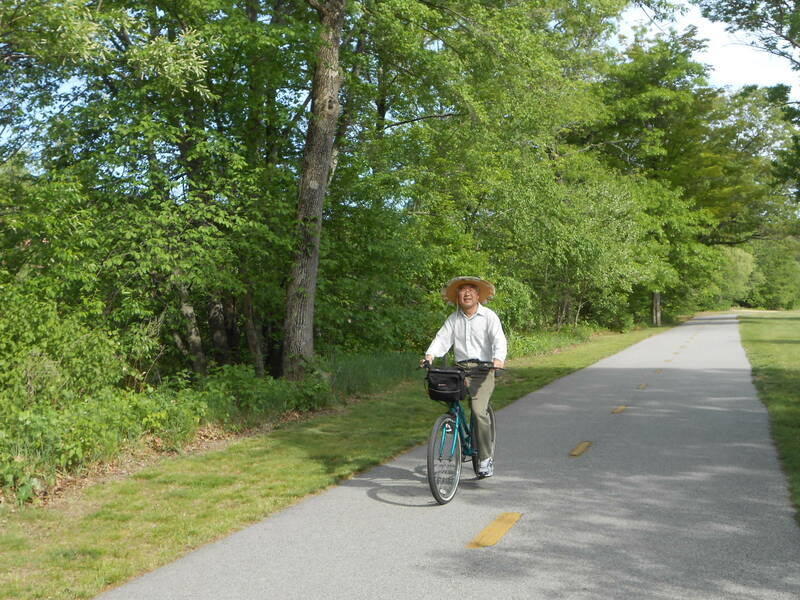 Sunday’s ride at the Cumberland, RI rail trail was wonderful. 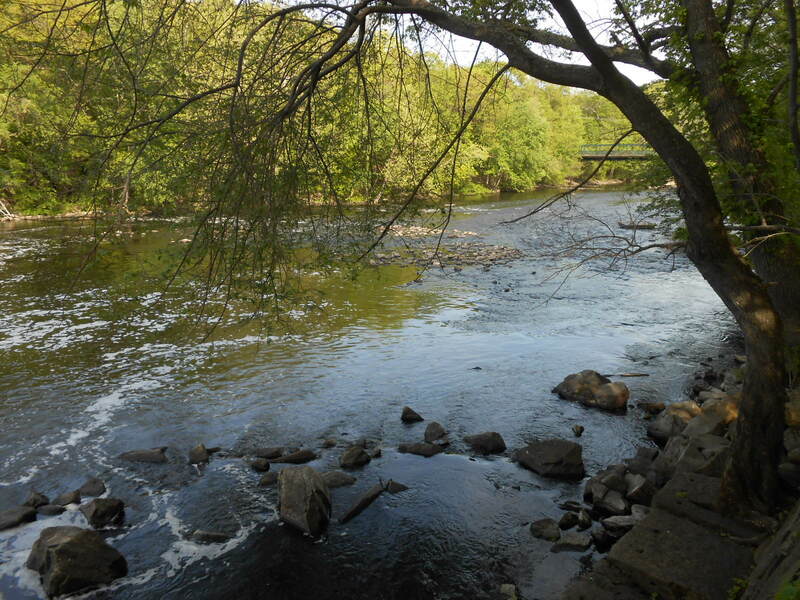 The path is rimmed by trees and shrubs, “reducing all that’s made to a green thought in a green shade.” Except, that description leaves out the roll of the Blackstone River on one side and the lazy calm of the canal on the other. Wild life abounds as you zip along a well-paved route, with just enough hills to work off a few calories, but not enough to leave you prostrate. And then, what chugs up, must glide down! All eighteen miles of round trip! Anyway, back to the critters! 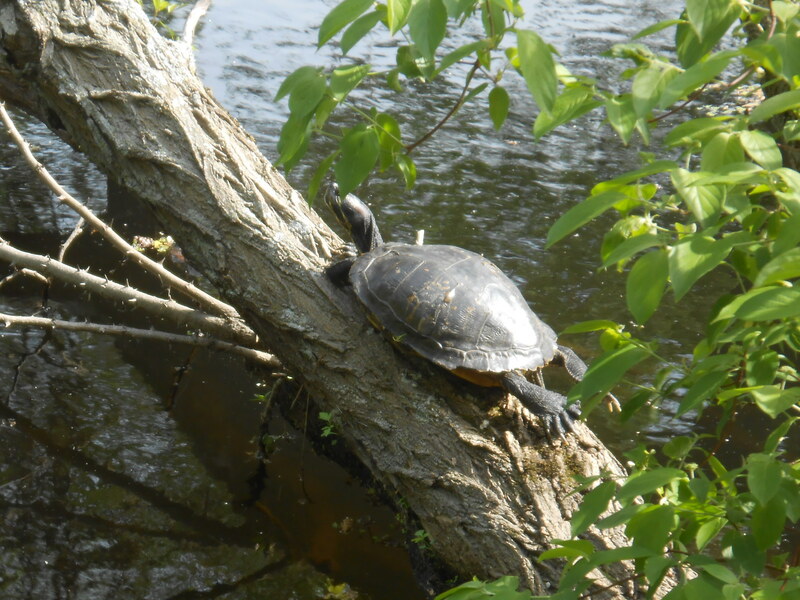 We saw this fellow lazing in the sun in all his turtlely glory. Look at those luxuriously stretched out hind tootsies! Pretty big for a painted turtle, eh? Apparently, there are also quite few snappers in the river and the canal––but none of them threatened us. Do you think we could escape if one charged? There was also plenty of feathered fauna to enjoy, too. We could hear all kinds of delighted, playful, trilling and teasing from catbirds, red-winged blackbirds, sparrows, and cardinals. Isn’t spring bird song grand? 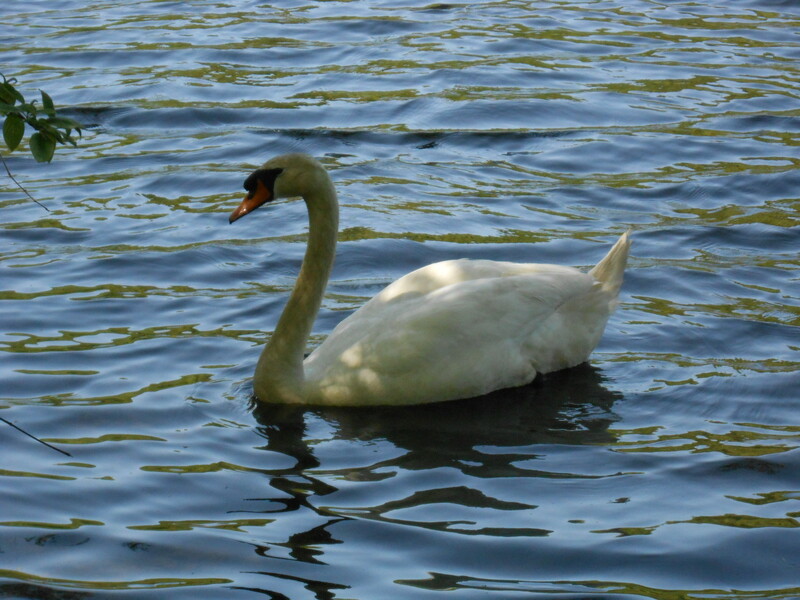 We also caught sight of this lovely swan, whom one trail-stroller informed us was part of a pair that was brooding a clutch of eggs on an island in the river. 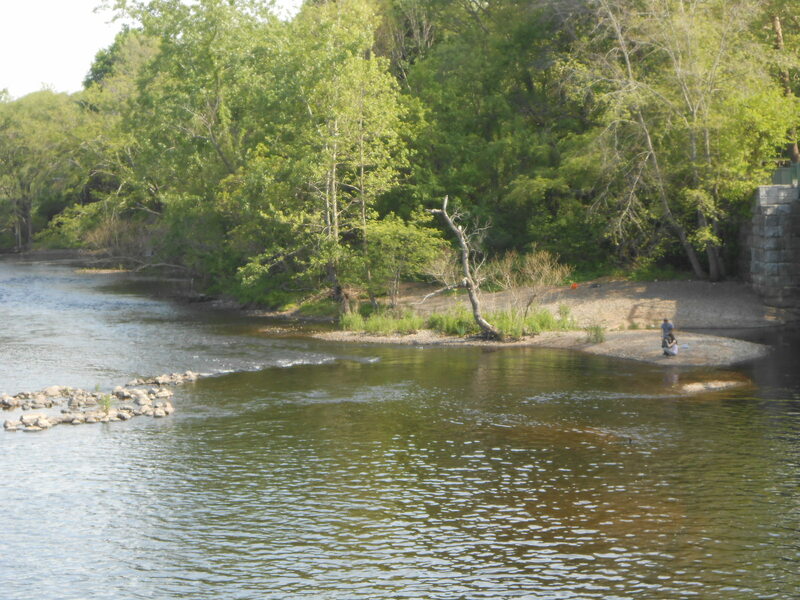 And here is proof that the fishermen on the river aren’t all of the homo sapiens variety. 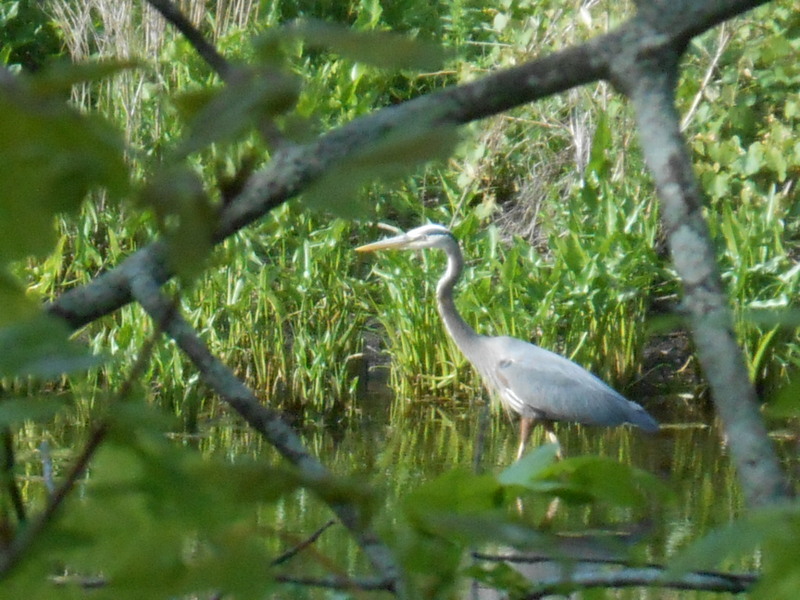 I’m sorry I missed my pal the Green Heron, but who can complain about seeing a Great Blue? The Cumberland trail is just a lovely, relaxing, happy rail trail to cruise. Look at how much fun the other Dr. Yang is having! What a wonderful way to enjoy Sunday!